ALL APRIL LONG…. FOR EVERY 1 MILLION RUPIAH YOU SPEND AT SENSATIA SHOP, YOU GET A IDR100K SENSATIA CASH VOUCHER to be used for your next Sensatia Shopping Spree visit… Stop by and get yours now. Visit SENSATIA Shop in Bali Collection Nusa Dua. 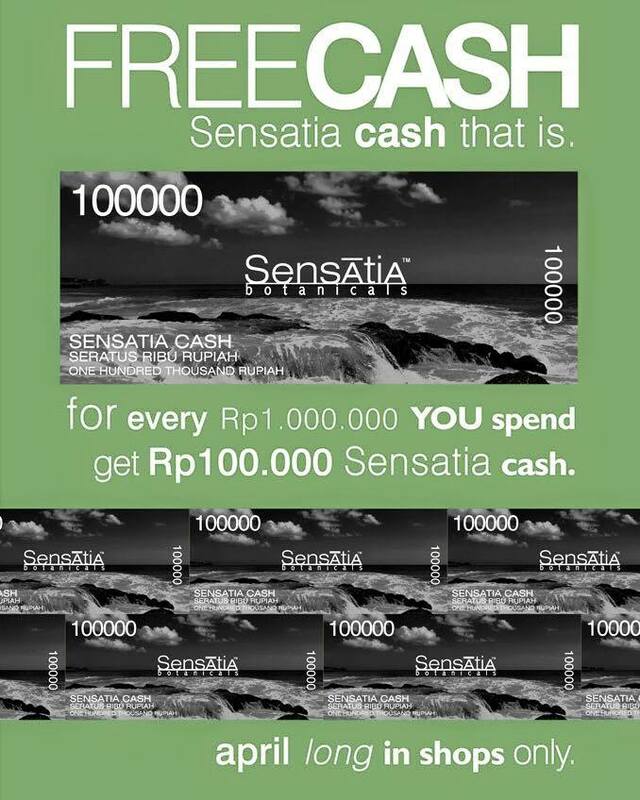 Offer valid in Sensatia Shop only. Next story QUIKSILVER 50% OFF!